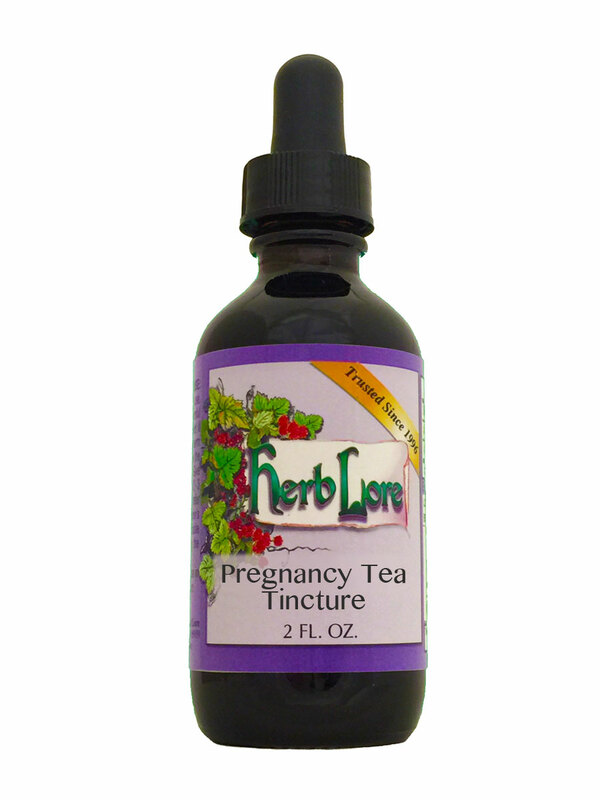 Pregnancy Tea Tincture is recommended for use during the entire pregnancy. (Pregnancy Tea Plus Tincture is recommended for the last six weeks.) Pregnancy Tea is the exact same combination of herbs as the tincture - the tincture is simply the liquid extract of the tea. Helpful Hint: Ice chips made from the tea or tincture added to water provides nutrition and fluids to the new mother during labor. Adding a bit of honey provides extra energy. To do this, use two droppersful (squeezes) of the tincture per 8oz of water. Pour into an ice cube tray and freeze. NOTE: Although it's a very small amount, due to the Alfalfa in the combination, this product may not be suitable for those on blood-thinning medications.